Deputy Maureen O’Sullivan: I acknowledge that there are some positives in the reply of the Minister of State, but it was rather vague on PESCO spending. I want to go back to a report that was debated in the European Parliament in May on strengthening EU-NATO relations. 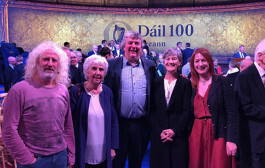 It was adopted by the Parliament by 439 votes to 183, with four Irish MEPs voting against it and six abstaining, including the four Fine Gael MEPs. 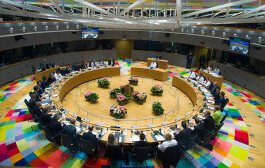 The report emphasised PESCO’s complementarity with NATO and that EU member states should be capable of launching autonomous military missions where NATO was not willing to act. The EU army, also known as PESCO, is a proxy of NATO policy. When we look at those calling for a European army such as President Macron and Mrs. Merkel, they are major or senior NATO players. The increase in spending could mean that we would spend as much as NATO countries contribute, but the ethos of our armed forces is peacekeeping, humanitarian operations and the preservation of life and it contributes to our international reputation. Will the Oireachtas have an opportunity to debate the same report as that debated by the European Parliament? There is a contradiction, as there are concerns the increase in military spending will not benefit our military. 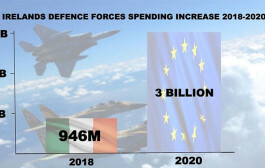 When we look at the overall EU budget, €200 billion is spent annually on defence, of which we could be part. Deputy Paul Kehoe: It is a matter for the House, not me, if Members want to debate a document. I have no problem in coming before the House. Ireland’s participation in the Permanent Structured Cooperation, PESCO, arrangement has no implications for its policy on military neutrality. It is very important that I point this out to the Deputy. The PESCO projects in which we are participating will not require me to seek additional money from the Government. The money will come from existing resources. The projects in which we are participating are the European Union training mission competence centre project, TMCC, which aims to improve the availability and interoperability of specific skills and the professionalism of personal trainers for EU training missions in participating member states and the project to upgrade maritime surveillance which aims to integrate land based surveillance systems. These projects will improve the capability of members of the Defence Forces. 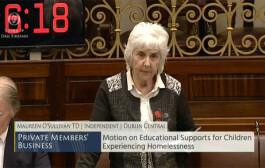 Deputy Maureen O’Sullivan: I thank the Minister of State. It would be good to have the debate because the matter is central to our policy on neutrality. Are these issues raised when the Minister of State attends meetings at European level? 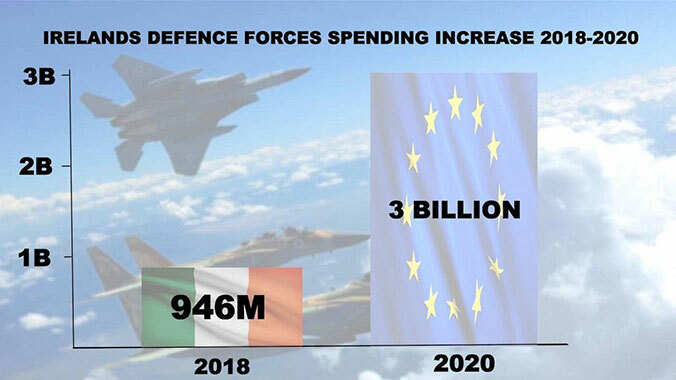 The figure of €200 billion being spent by the European Union on defence is staggering. When we campaign for a seat on the UN Security Council, we use our neutrality as a selling point. We have a reputation that is far greater than our size or population would indicate. We need to be a stronger voice on defence matters and in pointing to where extra finance is really needed. We played a huge role in drawing up the sustainable development goals and getting agreement on them. It will take huge resources to implement them and make them realisable. Our EU partners that are calling for a European army are those with the biggest arms trades. They are the ones that will benefit from increased defence spending. We know what bigger armies lead to. We only have to look at what happened in Germany in the 1930s. They lead to war and do not prevent it. Deputy Paul Kehoe: The Deputy mentioned a European army. No such proposals will come from this side of the House. The Deputy knows what is provided for in the Lisbon treaty on a European army. It would have to be subject to a referendum in Ireland. The Government is not stating we will join a European army. This has been a huge debate in Europe for many years, particularly when comments were made at Armistice ceremonies last week and the week before. 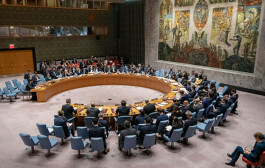 We are using our position on neutrality when it comes to winning a seat on the UN Security Council. I was at the launch of our campaign earlier this year in New York. We are looking at the work done by the Defence Forces on blue hat and overseas peacekeeping missions. Members of the Defence Forces have a long and proud tradition of participating in blue hat missions. Long may this continue because they do the country proud. They serve Ireland with distinction and pride.